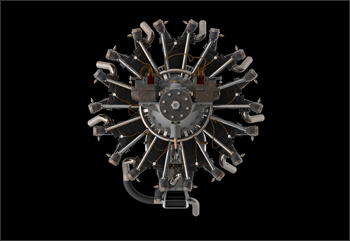 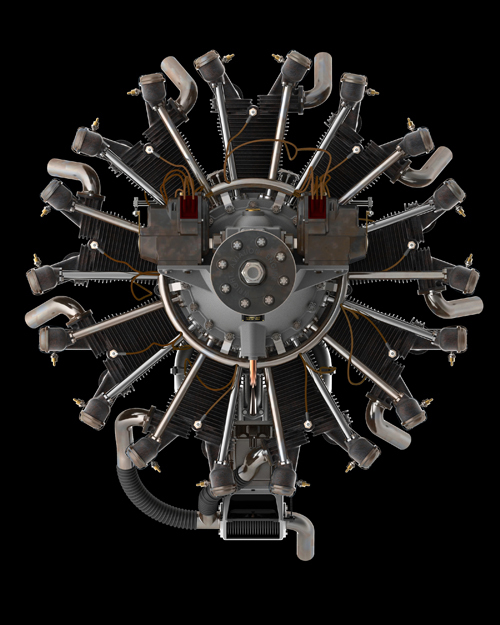 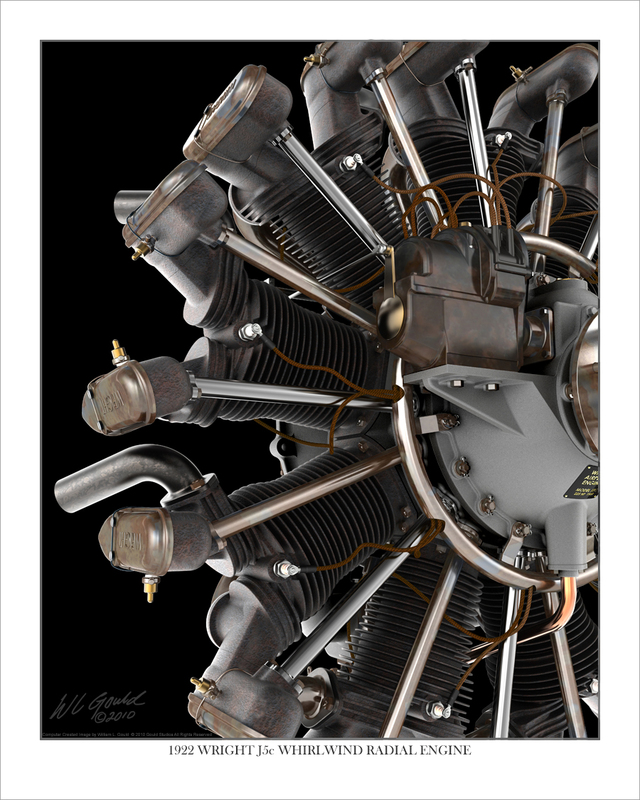 The famous Wright Whirlwind J5c Radial Engine, designed by Charles L. Lawrance, is considered by most historians as one of the most important developments in aviation technology. 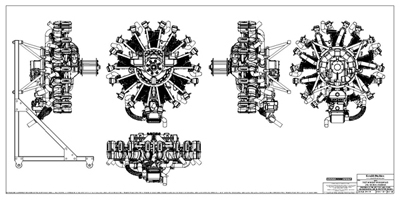 It was used over many years, on thousands of airplanes. 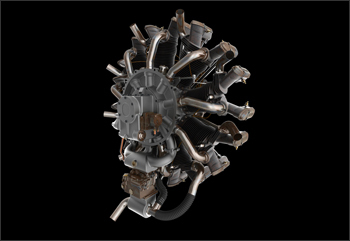 It was a reliable and economical engine, producing 220 HP at 2000 RPM. 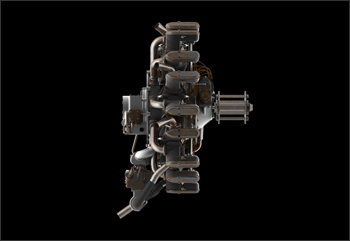 It was air cooled, displaced 788 cubic inches, and ran on 50 octane fuel. 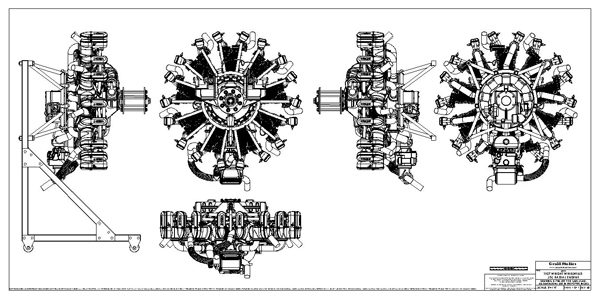 Most important, it was lightweight, at only 520 Lbs dry. 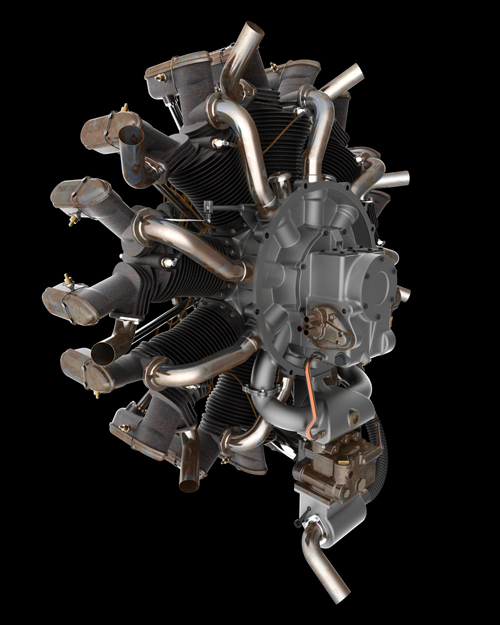 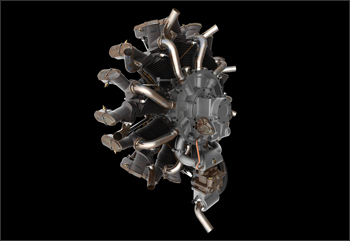 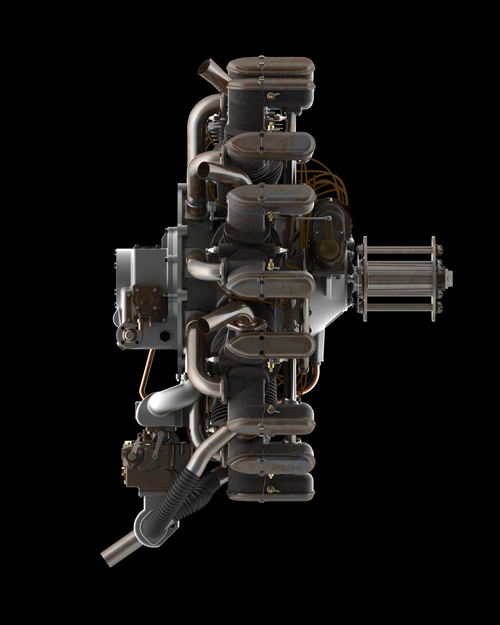 I chose to model the engine that Charles Lindbergh specified to power his "Spirit of St. Louis" monoplane on history’s first solo non-stop transatlantic flight, “New York to Paris”, on May 21, 1927. 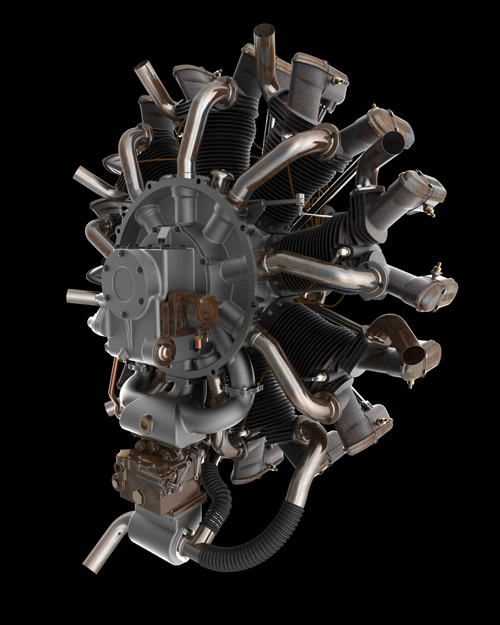 It was also used on the famous Ford Tri-motor, and the Army Air Corps’ Atlantic C-2, for the first transpacific flight in 1927, from Oakland California to Honolulu, Hawaii.